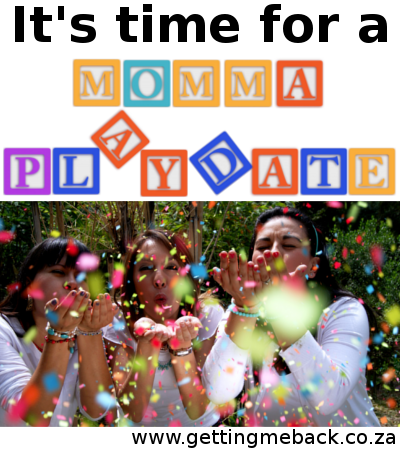 Over on my other blog, Getting Me Back, I introduced my new intiative for Moms called the Momma Playdate. 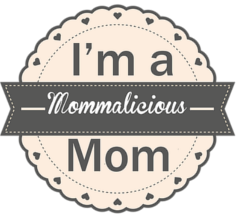 I attended a fantastic moms’ breakfast hosted by Kids Emporium and the inspirational speaker, Janice from Working Moms Expo (which you can read about here), spoke to us about taking back our power. I decided to take a little charge of the me time I so desperately feel I’m not getting and invite others to join me and so the Momma Playdate was born! The Momma Playdate is something I think we all need. We all need a little time, surrounded by other moms who are also in need of some adult company without having to keep an eye out for our kidlets. We need to look after ourselves and our emotional well being in order to be the best mom and partner we can be. You cannot pour from an empty cup and this is my way to help other mothers refil their cup, so to speak. It’s been a while since I’ve gone through my Mommy Burn out Series posts and while recently reading through them, I realised that I hadn’t given an update since the last post was published. I found the list of 4 goals I had set for myself and decided that now was a good time to update you all on my progress. No time like the present, right? 1.Make a daily schedule that covers everything that needs to be done daily (including quiet/me time and couple time with hubby). I haven’t made a daily schedule, but we do have a routine for school and a timetable for extra murals that has helped quite a bit. 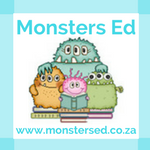 We have a routine that worked well for us, however, with the change of our curriculum, we are finding it difficult to get into a new routine with this curriculum. Papa Steve and I are getting more alone time. Fitting this in though has proven to be more difficult than we expected. We now make a point of having at least date night a month. No, I still don’t have my license. Yes I know what you are thinking, but seriously, the thought of actually going on this test has caused me more anxiety than its worth, in my opinion. Thankfully Uber has made my life so much easier and made me less dependent on family and friends. 3.Joining a moms group. This will help me get out of the house and make friends. Because I don’t have my license, its difficult to get together with girl friends to maintain the friendships. Though my children have friends, I don’t. Being an introvert, its easy to keep to oneself but it has huge drawbacks, not only on myself, but my children too. I haven’t joined a moms group, however, since Fifi and Pixie have started dancing, I have made many new friends. 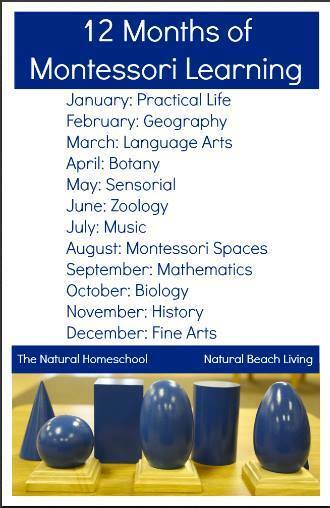 The kidlets have also joined 2 homeschooling co-ops and, thanks to Uber, we are now more social than ever, so much so that I now relish the time we are home and it’s quiet. 4.Have weekly ME TIME. This is non negotiable. I need to learn to let go and let hubby take the parenting lead when he is home. By doing that, I’m not relinquishing my parenting duties, I’m just sharing them. This one is particularly hard for me as I have been going at it by myself for almost 13 years and acting like a single parent even though he has been at my side for the last 9 years. Cutting those apron strings, or umbilical cord as he calls it, is probably the most difficult thing I’ve had to do thus far. I always find a reason to have at least one child with me if I go out for the day. We have quiet time every day, even if it’s just an hour. Koko and Pixie are in their bedrooms, with doors closed, playing quietly. Pixie is in my bedroom either playing quietly or building a puzzle. The key word here is QUIETLY. On weekends, once a month, I take an afternoon for myself, by myself, all alone. The first time I did this, I felt out of place and didn’t know what to do with myself. I usually go to the local mall, buy a magazine, or two, and go sit at a coffee shop for lunch and read the entire magazine. I love window shopping and can walk around the mall for hours, buying nothing but a bottle of water. This has made a big difference in my peace of mind and Papa has been so supportive in me finding myself again. I couldn’t have done this without his urging and support. I have started a new blog, called “Getting Me Back“, for exactly that and my journey back to myself. 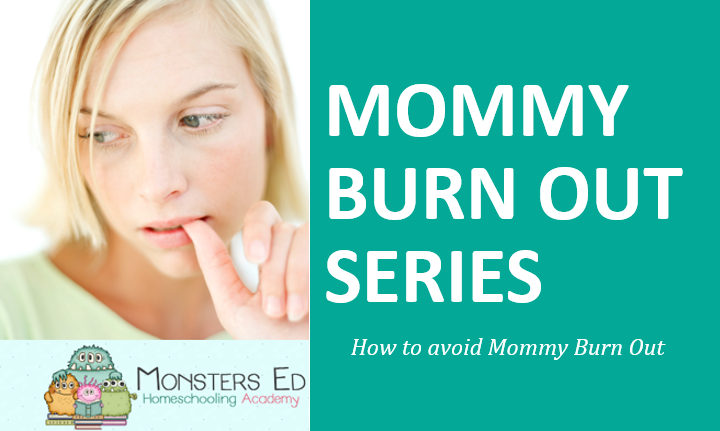 Mommy Burn Out is real and we need to make sure that we, as mothers, need to take care of ourselves and show our children that we are worth being looked after. Remember, you teach others how to treat you. How can we expect our children, family and friends to respect and care for us, if we don’t respect and care for ourselves. Easier said than done? No? Thank you to everyone who has read and followed the Mommy Burn Out series. It is, by far, my most successful subject to date. Below you will find all the posts listed, in order of publication. Disclaimer: I am not a doctor. 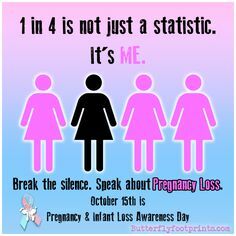 I am writing this as someone who is/has battled with this topic. These symptoms mirror those of depression. In depression these symptoms would be magnified and extended. I highly suggest visiting your doctor if these symptoms persist after taking the steps laid out in this series. Once again I refer to this post by Dr. Claire Nicogossian from Mom’s Well Being. 1.Identify the source of stress. 2.Are you able to reduce the stress? 4.Reach out to supportive people in your life to talk and receive support. 7.Find a way to schedule time each day to engage in one of these activities, even if it is fifteen-minutes. 8.Ask your partner/spouse/family members to help with tasks that are stressful. 9.Look at the tasks; what you have to do versus what you want to do? For example, group tasks into categories: Have to get done, Can wait until tomorrow, Later in the week and When I can get to it. 10.Increase activities of rest and happiness. 11.Allow yourself to have time away from your children without feeling guilty. Even small amounts of time away can be beneficial to cope with the demands of raising a child and the added stress in your life. 12.If you notice chronic stress and burnout, reach out to a mental health professional or medical doctor for assessment and support. 13.Brief therapy, (e.g., four to eight sessions), can be beneficial for coping with stress. Using the above list as a check list, of sorts, I have made my own goal list. 4.Have weekly ME TIME. This is non negotiable. I need to learn to let go and let hubby take the parenting lead when he is home. By doing that, I’m not relinquishing my parenting duties, I’m just sharing them. This one is particularly had for me as I have been going at it by myself for almost 13 years and acting like a single parent even though he has been at my side for the last 9 years. Cutting those apron strings, or umbilical cord as he calls it, is probably the most difficult thing I’ve had to do thus far. I always find a reason to have at least one child with me if I go out for the day. Though some of these may sound petty, it’s all the little things that add up and can cause a burn out. 1.Checking your email every time it pops into your inbox. 3.Worrying about things you cannot control. 4.Reading your Facebook feed when bored or tired. 7.Filling your calendar with too much to-dos. 8.Expecting too much from a single day. 9.Juggling multiple things at once. 10.Forgetting to do the important things first. 11.Waking up and checking email first. 12.Going to bed with your phone or other device. 14.Looking at a device more than those you love. 15.Putting off little things for so long they add up to become big things. 16.Forget to schedule time for relaxing and fun. 17.Rushing through every single moment. 18.Not really listening to those around you. 19.Saying yes to everyone but yourself. 20.Not knowing how to say no with grace. I have highlighted the bad habits I’m guilty of. 17,5 out of 20 is awful *sob* I’m tired, moody and agitated all the time and I just put it to not having time to myself. Looking at this list has opened my eyes. Its time to make the change. My kids have a schedule and its time for me to schedule my day so I can be constructive, instead of destructive. After this series is complete, I’ll post my new schedule and how its working for me and my family. Being a wife, mother, teacher, housewife, cook, baker, nurse, therapist, friend, woman, etc takes it toll if you don’t put yourself first. You need to be healthy, both spiritually, mentally and physically to meet the demands of your family. Its easier said than done, I know. I’m struggling with this delicate matter myself and am suffering from MOMMY BURN OUT at the moment. 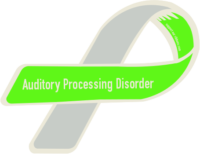 I’ve been doing extensive reading on the subject for some time and it has highlighted my own struggles on the subject and how I need to deal with them. How do I know I’m suffering from MOMMY BURN OUT? In next week’s post, I’ll be highlighting the main contributors to Mommy Burn out.